Houston we have a Drybar! 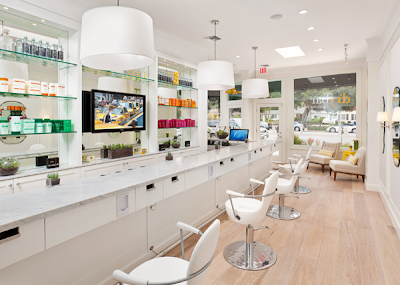 So excited to find out that Houston will be launching a Drybar on September 13, 2013 in Uptown Park. With Drybar's in New York, LA, San Francisco, Atlanta and Dallas it's about time the 4th largest city in the U.S gets its very own. Founded by longtime stylist Alli Webb, Drybar has become a regular stop for celebs such as Cindy Crawford, Emma Roberts, Jennifer Love Hewitt, Zooey Deschanel, Rose McGowan, Hilary Duff, Miley Cyrus, Jennifer Garner, Maria Shriver and Nicky Hilton. 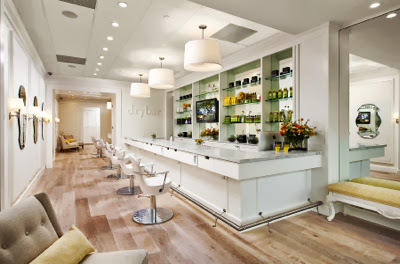 Drybar Houston will provide flawless blowouts at a flat price of $35, regardless of hair length or thickness (wash included!). the Cosmopolitan (lots of loosecurls), the Straight Up (simple and straight), the Southern Comfort (big hair with volume), the Mai Tai (messy and beachy), the Manhattan (sleek and smooth) and for the little ladies, the Shirley Temple at $24. At the core of that experience is Drybar’s top-of-the-line customer service and obsessive attention to every last detail. The Houston shop, located at 1141-3 Uptown Park Blvd., will feature Drybar’s signature look, including custom Italian chairs, tufted fabric walls, marble bar with built-in iPhone dockings stations, and flat screens quietly featuring your favorite chick flicks. My appointment is set and I can't wait!